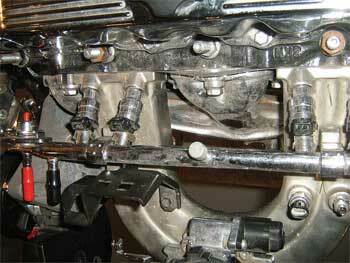 Fuel injection is a system for admitting fuel into an internal combustion engine. It has become the primary fuel delivery system used in automotive engines, having replaced carburetors during the 1980s and 1990s. A variety of injection systems have existed since the earliest usage of the internal combustion engine. The primary difference between carburetors and fuel injection is that fuel injection atomizes the fuel by forcibly pumping it through a small nozzle under high pressure, while a carburetor relies on suction created by intake air accelerated through a Venturi tube to draw the fuel into the airstream. Modern fuel injection systems are designed specifically for the type of fuel being used. Some systems are designed for multiple grades of fuel (using sensors to adapt the tuning for the fuel currently used). Most fuel injection systems are for gasoline or diesel applications.